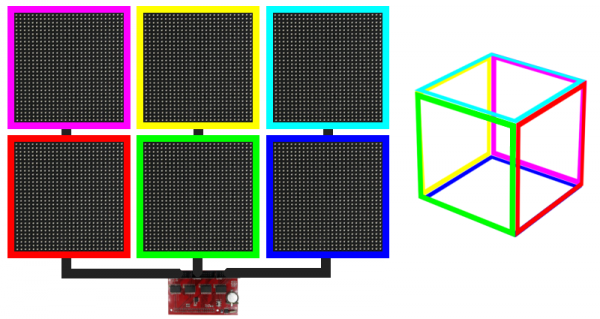 LED Cubes and How to Map Them @Raspberry_Pi #PiDay #RaspberryPi « Adafruit Industries – Makers, hackers, artists, designers and engineers! 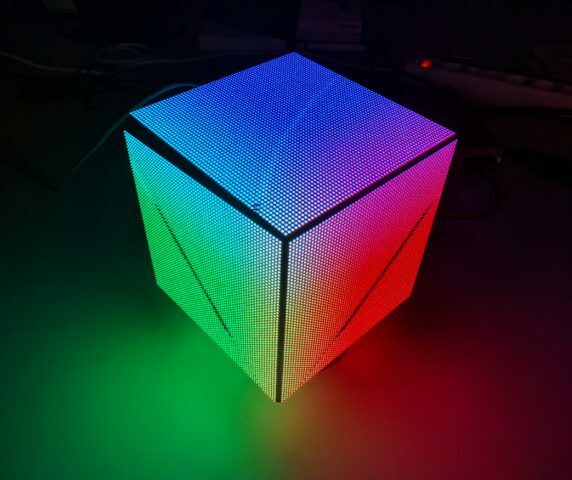 One thing that really impressed me was a cube comprised of bright LED-panels. It’s awesome and I just had to get one of my own. And that’s how a new project was started! 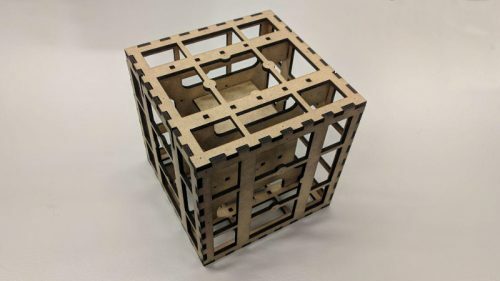 In this article, I’d like to tell a bit about how it works and how I programmed it. The 6 panels used are P2.5 HUB75 LED-panels bought from AliExpress. They’re driven by a Raspberry Pi Model 3 Using a breakout board that support the interface these displays use.